West African kora player for hire. 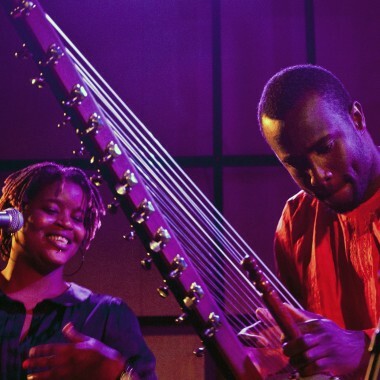 Sura Susso offers traditional roots music & a range of cross cultural projects. Ideal for venues, festivals & corporate events. Sura Susso, born Surahata, was born in the Gambia, into a family of ‘griots’. Griots are cultural figures in society across West Africa who carry the cultural knowledge and identity of the people. This hereditary legacy stretches back hundreds of years. Traditionally, the knowledge and history surrounding the kora are passed on from father to son. Griots are orators, lyricists and musicians who are also respected as a source of advice and spiritual guidance. They have an important role in key ceremonies such as naming ceremonies, and marriages. Sura started his lifelong study of the African harp, called the kora, and a range of other percussion instruments at the age of four. 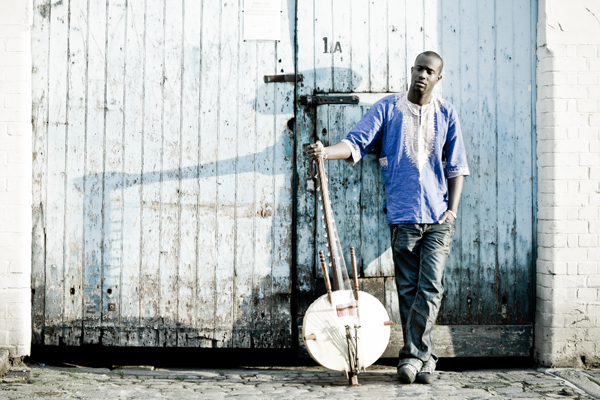 His father, Mamudou Susso, is a renowned kora player in the Gambia, and his late mother, Fatou Bintu Cissokho, originally from the Casamance region of Senegal, was a formidable singer and percussionist. The family household including many brothers, sisters, cousins, uncles, aunts, and elders was constantly filled with music. This musical immersion in such a natural environment as a child provided the solid foundations for Sura’s musical development. Sura came to the UK at the age of seventeen, as the percussionist in his brother’s band, the Seckou Keita Quintet. Tours with the quintet took the band all around the world and gave Sura a great insight and experience of being part of a professional band. Sura honours the role that his elder brother has played in supporting his musical journey. In Jalikunda, a self-penned song praising the griot heritage on his debut album Sila Kang, he offers his thanks and gratitude. Since his arrival in the UK, Sura has performed as a solo act as well as part of collaboration with other artists. He has taken part in more than five hundred shows in over thirty different countries spanning every continent. He has always prided himself on promoting his traditional music from his cultural roots in The Gambia, as well as absorbing new genres into his own style. He has performed and recorded in a number of interesting cross-cultural settings: Collaborations with the great violinist and dear friend of Sura’s, Maximilian Baillie have seen the pair perform nationally in the UK and Berlin and artfully mix the complementary sounds of the kora and the violin. One particular collaboration with the duo ‘Askew and Avis’ led to the recording of the Kora Song Radio Album, which was met with great appreciation from the musical world. Sura also participated in a unique project and performance, which combined the theme of football with music and dance originating from Botswana. A great privilege for Sura and his popular vocalist sister, Binta Suso, was the chance to perform at Glastonbury Festival in 2009. The two siblings were invited to perform on the Africa Express stage with the legendary Baaba Maal. In between composing and recording songs for his debut album Sila Kang, Sura has also took time to contribute to a project initiated by Brecon Jazz festival. This featured a joint performance with Blue Note’s French jazz trumpeter Eric Truffaz. The two of them have plans to work together again in the future. All of Sura’s musical journeys and adventures have certainly opened up his musical horizons. A great future as a solo musician in his own right is taking shape. 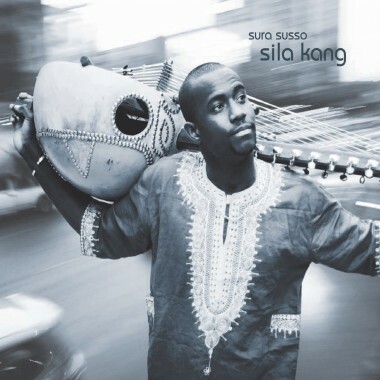 The debut album ‘Sila Kang’ was released on KuliMarow Music on the 20th of June 2011. It received critical acclaim in national publications and is given extensive airplay on BBC 6 Music and BBC Radio 3.